Rotating components in mechanical systems produce tonal noises and the presence of these tones effect the quality and comfort of occupants leading to annoyance and a decrease in mental performance. The ISO 1996-2 and ANSI S1.13 standards have described metrics to quantify the effects of prominent tones, but more research on how noise attributes effect annoyance and performance, especially in different levels of task difficulty are necessary. This paper investigates relations between noise metrics, annoyance responses and mental performance under different task difficulty levels while exposed to background noise with tonal components. In this study, sixty participants were evaluated on subjective perceived annoyance and varying workloads while exposed to 18 noise signals with three different prominence tones at three frequency tones and two background noise levels while doing three different levels of n-back tasks in a controlled test chamber. Performance parameters were measured by recording the reaction time, the correct rate, and the number of misses. The results indicate an increasing trend for number of misses and reaction times at higher task difficulty levels, but a decrease for correct rate. The study results showed a significant difference for subjective responses except for annoyance and loudness under different levels of task difficulty. The participants were more annoyed with higher background noise levels, lower tone frequencies and increasing tone levels especially under increasing task difficulty. Loudness metrics highly correlate with other noise metrics. Three models for the prediction of perceived annoyance are presented based on the most strongly correlated noise metrics using neural network models. Each of the three models had different input parameters and different network structures. The accuracy and MSE of all three neural network models show it to be appropriate for predicting perceived annoyance. The results show the effect of tonal noise on annoyance and mental performance especially in different levels of task difficulty. The results also suggest that neural network models have high accuracy and efficiency, and can be used to predict noise annoyance. Model 1 is preferred in certain aspects, such as lower input parameters, making it more user-friendly. The best neural network model included both loudness metrics and tonality metrics. It seems that combined metrics have the least importance and are unnecessary in the proposed neural network model. The authors of this study would like to thank the Environmental and Occupational Hazard Control Research Center at the Shahid Beheshti University of Medical Sciences for funding and support provided for this research (Grant No. 12957). The authors wish to declare that there are no conflicts of interest that they are aware of. This research was approved in the eighteenth research ethical committee of the Shahid Beheshti University of Medical Sciences No. “IR.SBMU.PHNS.REC.1396.95.”. This is a research article involving “human participants” with “informed consent”. Francis JM, Lee J, Wang LM, et al. Determining Annoyance Thresholds of Tones in Noise Determining Annoyance Thresholds of Tones in Noise https://doi.org/10.1121/1.4831499. Wang LM, Bowden EE. Performance review of indoor noise criteria. Archit Eng. 2003:1–4. https://doi.org/10.1061/40699(2003)2. 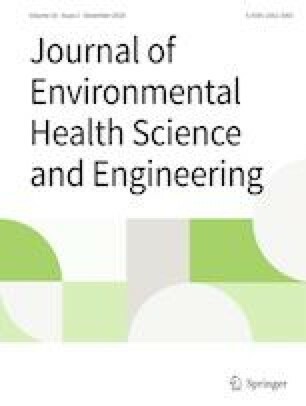 LandstrÖm, U., إKerlund, E., Kjellberg, A., & Tesarz, M. Exposure levels, tonal components, and noise annoyance in working environments. Environ Int, (1995): 21(3), 265–275. https://doi.org/10.1016/01604120(95)00017-F.
N. Genaro, A. Torija, A. Ramos-Ridao, I. Requena, D. P. Ruiz, En M. Zamorano, “A neural network based model for urban noise prediction”, J Acoust Soc Am (2010): vol 128, no 4, bll 1738–1746. https://doi.org/10.1121/1.3473692 v.